Acne is generally thought of as a condition that teenagers deal with. 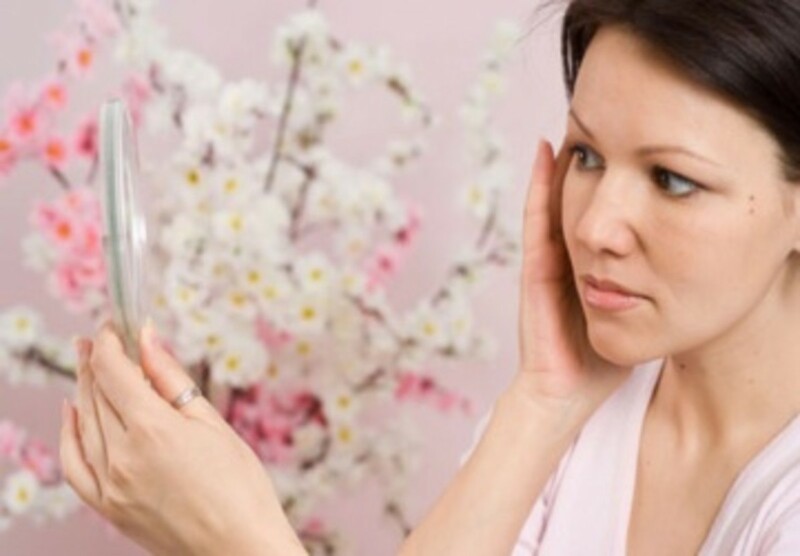 The bumpy and pink dots supposedly go away as you get older; however, I recently learned that acne isn&apos;t just a teenage issue but one that 1 in 3 women in their 30s and 1 in 4 women in their 40s have. This poll, taken by HealthyWomen.org, also indicated that adults with acne aren&apos;t seeking treatment from a dermatologist, but rather, they are spending between $1,000 to $3,000 a year on products to self-treat and cover up their marks. This issue is on the rise, but thankfully there is help to alleviate and cure this frustrating and embarrassing condition. To learn more about this condition, I spoke with Beth Battaglino Cahill, executive director of HealthyWomen.org and Dr. Julie C. Harper, Clinical Associate Professor of Dermatology at the University of Alabama-Birmingham. Beth spoke to me about the survey results where 65% of women reported that their acne makes them feel awkward because they are adults with this condition and 48% of women spend time trying different ways (e.g., makeup, hair) to cover up adult acne. When I spoke with Dr. Julie C. Harper I learned more about adult acne, which is different from pimples that teenagers get. Adult acne is generally characterized by deep-seated, tender, inflamed pimples and nodules, and tends to appear around the mouth, on the chin, and along the jawline. Additionally, it occurs due to new fluctuations in hormones; starting or stopping certain medications, such as birth control; family history; and stress. Although this problem is prevalent, I was shocked to learn that women with adult acne don&apos;t go to their dermatologists for treatment. Dr. Harper was equally baffled by this and wasn&apos;t sure why women aren&apos;t taking action but she wanted them to know that there are a variety of treatment options, including a new topical gel called Aczone (dapsone). She mentioned that this gel is not an antibiotic, retinoid or benzoyl peroxide, but that its active ingredient &apos;?? dapsone &apos;?? can help clear up acne with minimal redness and irritation. In addition to Aczone, Dr. Harper mentioned that women need to take time with their skincare regime and not expect quick results. Some treatments may take up to 16-30 weeks, but the only way to see results is to stick with a plan. She also mentioned that women should stop self-diagnosing themselves and talk to a dermatologist. Everyone&apos;s skin is different and may react to various medications and gels in a different way. A dermatologist can prescribe the right regime to help women feel confident and radiant with acne-free skin. Adult acne has an impact on women. Women are aware of their acne in various situations. Many women don&apos;? ?t know what triggers their acne. Most women are not seeing a dermatologist to treat their acne. Women are looking for solutions for their acne.